On 3 November 2015, the Sentencing Council (the Council) published the guidelines on Health and Safety, Corporate Manslaughter and Food Safety and Hygiene offences. The long awaited Guidelines were published alongside the Response to Consultation and come into force on 1 February 2016. The Guidelines apply to companies or individuals (aged 18 and older) who are sentenced on or after 1 February 2016, regardless of the date of the offence. The Guidelines set out a number of steps that the sentencing court will need to go through to establish the appropriate fine. Firstly, the court will need to determine the category of offence. This is based on two stages, the level of culpability and the level of harm. Secondly, starting points (which apply to all offenders, whether they have pleaded guilty or been convicted after trial) define the position within a category range from which to start calculating the provisional sentence. The court is required to focus on the organisation’s annual turnover or equivalent to reach a starting point for a fine. The court then consider further features of the offence or the offender that warrant adjustment of the sentence within the range, including aggravating and mitigating factors. 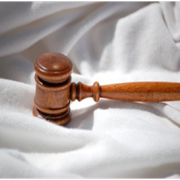 Credit for a guilty plea is taken into consideration only after the appropriate sentence has been identified. It was proposed that a proportionate multiplier be included in the Guidelines to clarify a suitable calculation when imposing fines for very large organisations (i.e. those with turnovers greater than £50 million). The Council decided not to include such a feature within the Guidelines as to do so could, due to the complexity of sentencing very large organisations, hinder sentencers and would conflict with the guidance to ‘consider the financial circumstances of the organisation in the round.’ This also maintains consistency with the approach in the environmental guidelines. How tough are the new proposed fines likely to be? Under the Guidelines a large organisation that commits an offence with the greatest exposure to harm (for example, a fatal accident) and with high culpability will see a sentencing range of £4.8 million – £20 million with a starting point of £7.5 million. Large food operators that commit a food safety offence with a serious adverse effect on human health with high culpability will see a sentencing range of £500,000 – £3 million. Individuals that commit serious offences with high culpability can expect custodial sentences or serious fines where profit was a motivating factor in the commission of the offence. one in two for those born after 1960. A 50/50 risk of cancer is an issue that none of us can afford to ignore, and increasingly, employers – wise to the threat cancer poses – are finding ways to try to pre-empt the disease.The good news is that we are getting better at treating cancer, with more people than ever – over 50 per cent – surviving the disease. The key to this successful treatment is early intervention, and that often depends on individuals having a sound understanding of the disease, of its symptoms, and of their own personal risk.An example of early intervention is the work taking place at insurance group Zurich, which has turned to Check4Cancer, a clinician-led organisation specialising in the implementation of cancer awareness and screening programmes for help with a cancer awareness raising programme for Zurich’s UK employees. The objective for Zurich was to increase the awareness of specific cancers such as breast, skin and prostrate across their UK workforce and to help people understand how to detect the early signs of cancer. Earlier this year, Check4Cancer delivered presentations on the different types of cancer to Zurich’s employees based at different locations across the UK. Typically, awareness-raising campaigns focus on one specific cancer, sometimes focusing on gender bias, age or working conditions of staff. Zurich took a different approach covering as many types of cancer as possible, opting to include bowel, breast, cervical, lung, prostate and skin cancers as part of their employee awareness programme. Initially, Zurich focused on helping employees to spot the signs of skin, breast and prostate cancer but then extended the programme to include some bowel, cervical and lung presentations too in light of positive feedback on the initial presentations. Skin cancer, along with breast, prostate cancer, bowel, cervical and lung cancer are the six most common cancers, affecting both men and women, young and old – and, taken together, account for around 85 per cent of all cancers in the UK. purpose. In addition to clear, basic information, the websites can feature illustrative videos, FAQs, and interactive activities where participants can share experiences. But also, crucially, they include online questionnaires providing measurable outcomes of the campaigns. While work way is underway to measure the specific health outcomes the online questionnaires provided feedback from Zurich employees that the initial presentations were valued. 100 per cent of attendees agreed that the presentations helped them better understand the particular cancer and 85 per cent strongly agreed; 89 per cent would attend more presentations on different cancers; 10 per cent would consider it; and only 1 per cent would not attend future sessions. While many of us may still be reluctant to talk about cancer, Zurich’s experience shows a strong desire on the part of employees for more information and support. In fact, a recent survey among HR professionals revealed that 95 per cent of HR professionals surveyed were in favour of universal cancer checks provided by employers, with annual checking for all staff, while 63 per cent actively plan to introduce cancer awareness programmes and/or early detection programmes in their organisation. 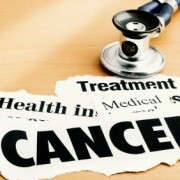 hope that people may become empowered to self-diagnose cancer and thereby save lives. From energy storage installations to electric vehicles and to consumer electronics such as smartphones, laptops and cameras, batteries are in use all around us every day. 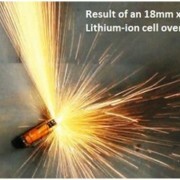 In normal working conditions batteries are considered to be stable, but if subjected to abnormal circumstances, such as increased temperatures, they may become unstable and – in the worst cases – vent violently with flame. As a result of this, in 2015 United Airlines announced that it will no longer carry bulk shipments of lithium-ion batteries. Aviation officials believe that such batteries contributed to fires that destroyed two Boeing 747 cargo planes, claiming the lives of their crews. In July 2015 the M1 motorway in Derbyshire was closed for several hours with a 500-metre exclusion zone after a lorry carrying batteries caught fire. Witnesses reported seeing “fireballs” – presumed to be exploding batteries – and black smoke pouring out of the HGV. In 2013 alone an estimated 4.8 billion lithium-ion batteries were manufactured, with annual production forecast to reach eight billion by 2025. HSL’s Hazardous Substances Team has closely studied battery safety for several years, using our bespoke testing facility to help customers understand how best to manage the risks faced by industry during battery manufacture, storage, transport and use. The number of workers killed in Britain last year has fallen, official statistics have show. Provisional data released by the Health and Safety Executive (HSE) reveals that 148 workers were fatally injured between April 2012 and March 2013, compared with 172 in the previous year. From 1 October 2013 changes will be introduced to the Reporting of Injuries, Diseases and Dangerous Occurrences Regulations (RIDDOR) that will simplify the mandatory reporting of workplace injuries for businesses, while ensuring that the data collected gives an accurate and useful picture of workplace incidents. To allow businesses time to familiarise themselves with the changes, the following information has been developed to support duty holders with the requirements. The classification of ‘major injuries’ to workers is being replaced with a shorter list of ‘specified injuries’. The existing schedule detailing 47 types of industrial disease is being replaced with eight categories of reportable work-related illness. Fewer types of ‘dangerous occurrence’ will require reporting. Accidents to non-workers (members of the public). Accidents which result in the incapacitation of a worker for more than seven days. The Health and Safety (Sharp Instruments in Healthcare) Regulations 2013 came into force on 11 May 2013. These regulations are intended to control the risks posed by needles and other ‘sharps’ in healthcare. Ladder Exchange now extended to 31st December 2013! It’s estimated that over two million ladders are in daily use in the UK, and with falls from height still one of the main causes of death and injury in the workplace, it’s vital that these ladders and stepladders are regularly inspected and safe to use. The annual Ladder Exchange, now run and managed by the Ladder Association, is your opportunity to exchange any dodgy, bent and broken ladders for safe, brand new ones. Simply take your old ladders to a participating partner near you and swap them at a discount. You get a new ladder at a concessionary price and everyone stays safe. And this year you’ve got an extra month to do it in! http://uksltd.com/wp-content/uploads/logo.png 0 0 Neil http://uksltd.com/wp-content/uploads/logo.png Neil2015-09-16 17:15:352015-09-16 17:15:35Ladder Exchange now extended to 31st December 2013!